Do you look at beautiful Ready-to-wear clothes for sewing ideas? I bet you do. My current sewing crush is Rabens Saloner. Rabens Saloner is a women’s wear label from Copenhagen. 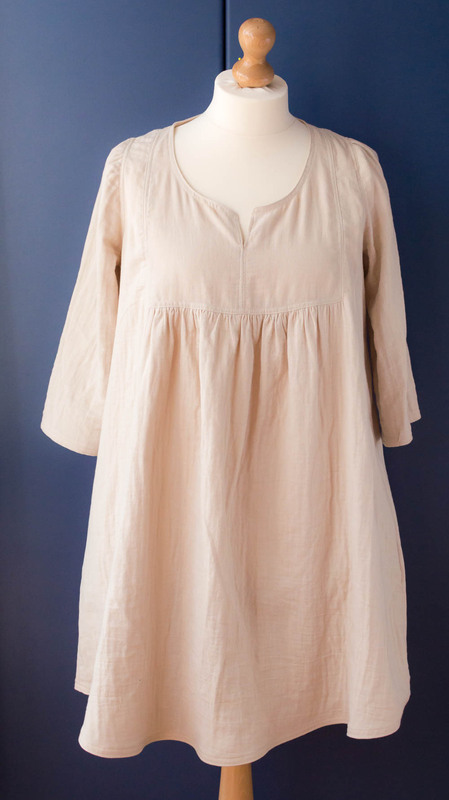 Most of their clothes are made in Asia by artisan’s; hand-dyed and handmade. I love many of the pieces, but most wouldn’t fit me. 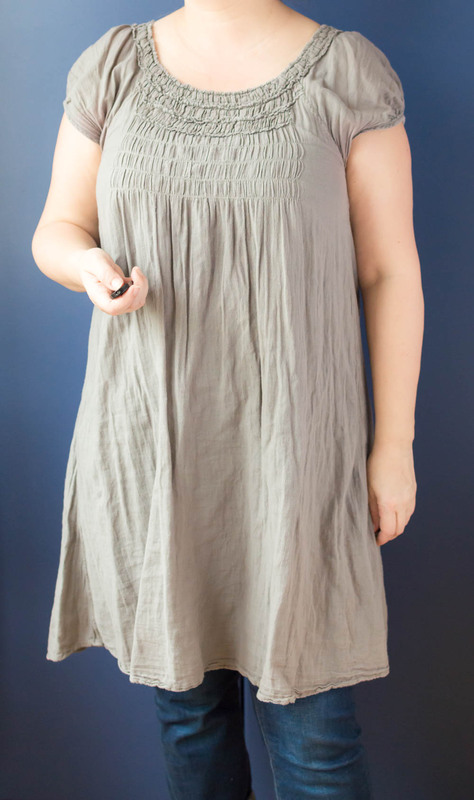 Every summer they make a few beautiful, simple gauze dresses, like the ones I’ve shown here. 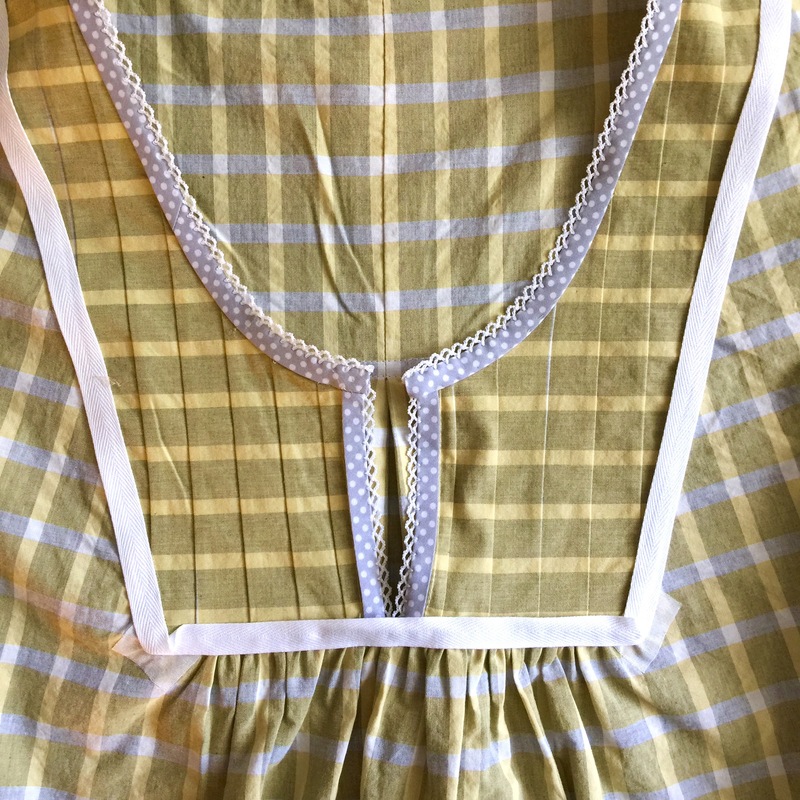 Can you see the raw edge at the bottom of this dress? They often include nice details, and fabric manipulations. I own one of these dresses, It’s meant to fit loose, but on me it’s quite tight in the bust, maybe too tight. But the lovely gauze, and lots of gathers, make it so easy to wear. I did find that the colour of my dress changed under the armpits, almost right away. 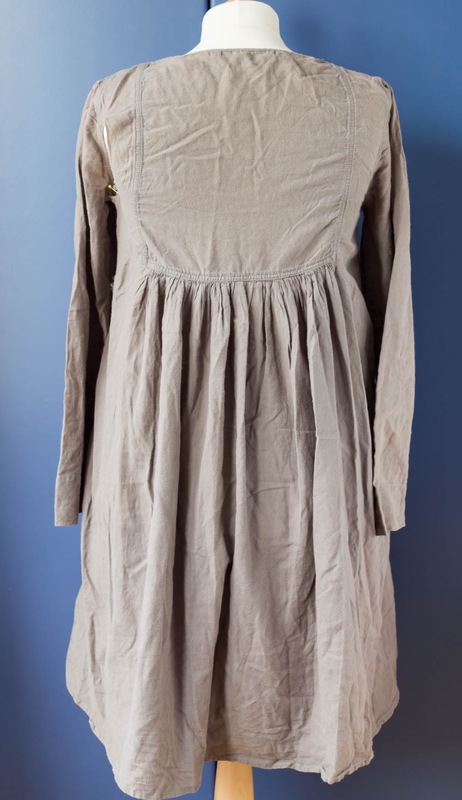 Here is another gauze dress that I have in my possession, at the moment. 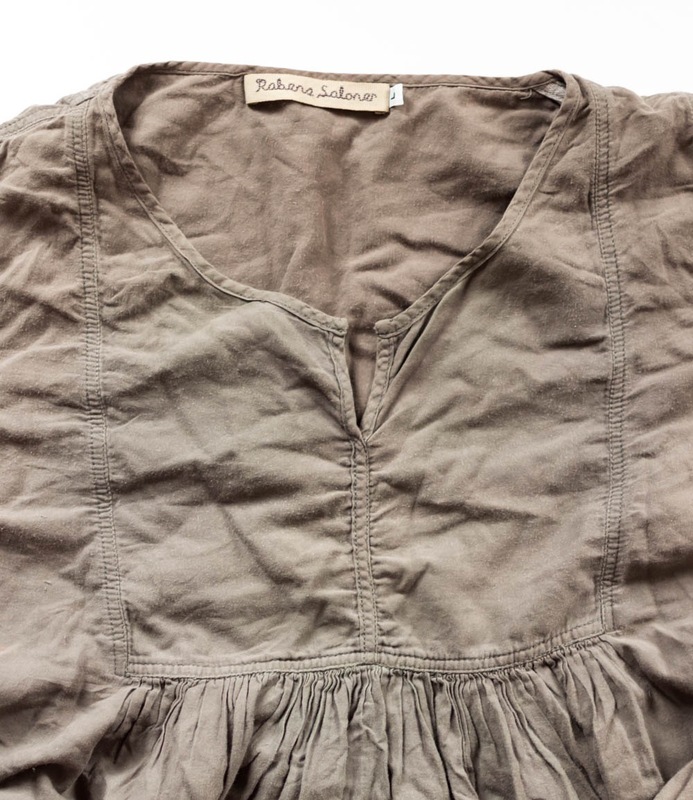 The back is terribly ripped because it is a little too small for the wearer and it has been well loved. This is the back view. What I wanted to show you was the seam finishes. 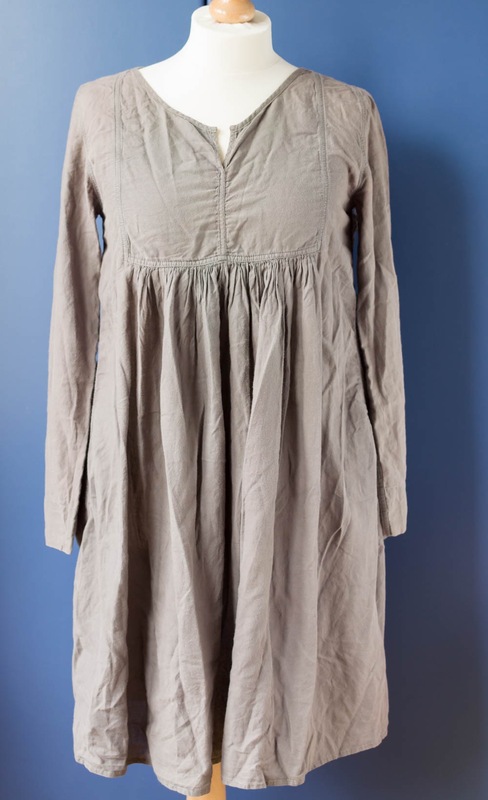 If I were making this dress, I would probably self-line the yoke and make french seams everywhere else. What would you do? 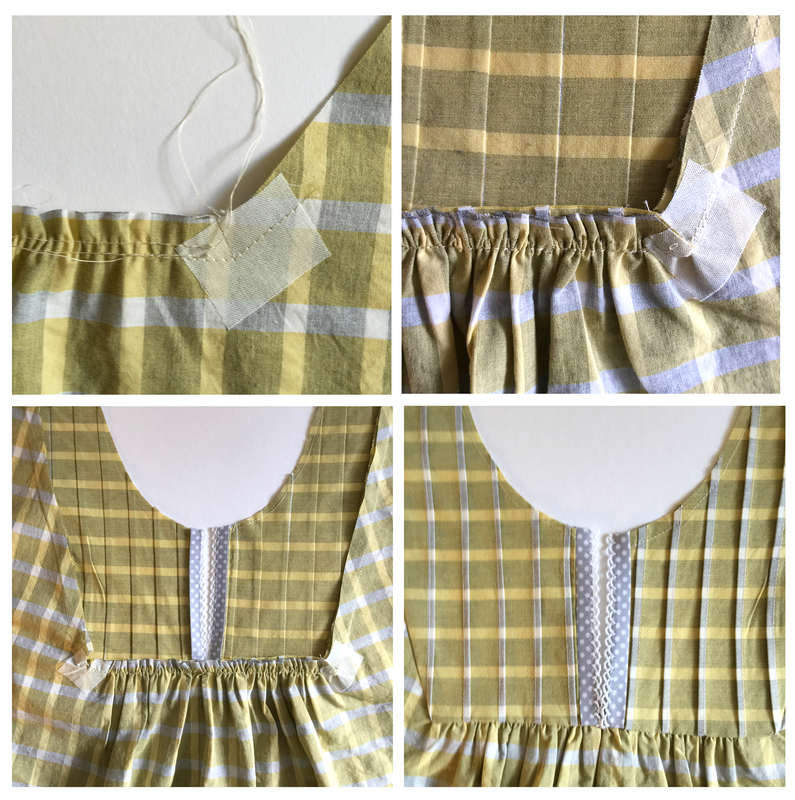 Would you have considered using twill tape to neaten and stabilise seams? They used a 1/4 inch cotton tape and two rows of stitching. (Some thread trimming might have been good.) This strengthens the seams and keeps the whole dress a single layer. I recently tried this on my cotton yoked top. I’m still not crazy about this top but I did do some nice finishing and details on it. Fused a patch of light interfacing, to the wrong side, where the corner cut will be. Make small machine stitches, outlining the corner, at exactly the seam allowance distance. This way, it is easy and safe to make the corner cut. Make an accurate snip into the corner. Gather the front between yoke. Set the yoke. Trim, clip and neaten seams. The pictures above show the yoke from the right and wrong sides after it has been set in. Can you see I also made tiny pleats in the yoke? Once the yoke is set, I tidy up the seam. I fused the twill tape on top of the seam using Steam-a-Seam. My twill tape is wider than I would like. I then did a double row of top stitching. Here’s how it all looks, after alterations to the pattern, in a Japanese cotton double gauze. This was the perfect fabric for it, maybe even better than the original. 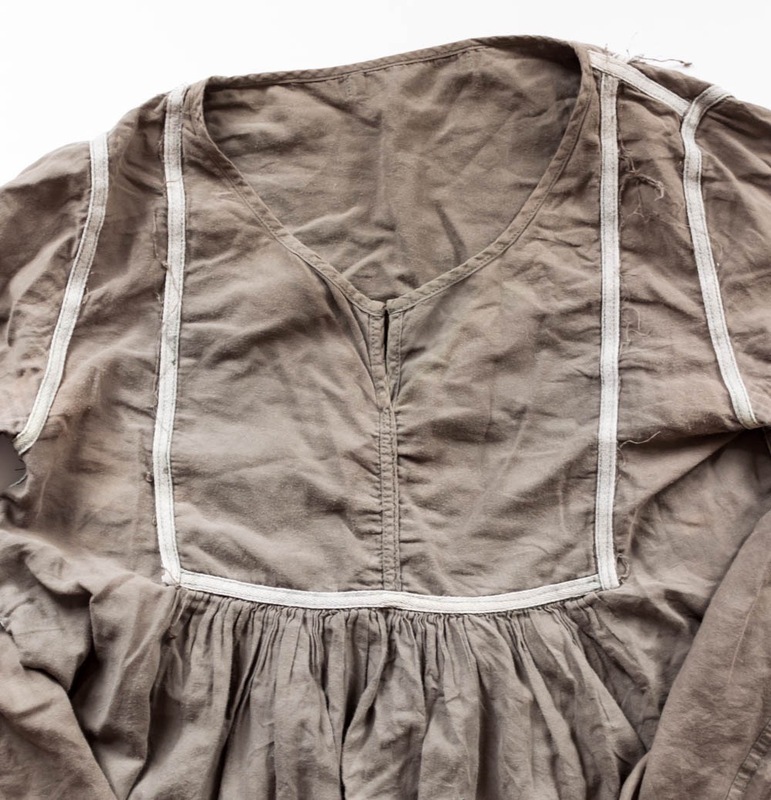 Where did you find that lovely pattern for your cotton dress? Thank you Chloe, I made the pattern. I might offering them down the line, if you are interested. That’s good to hear Sarah. I’m working hard behind the scenes. Beautiful! Would love for you to publish this as a pattern. Thanks Stephaney. I may well do that.